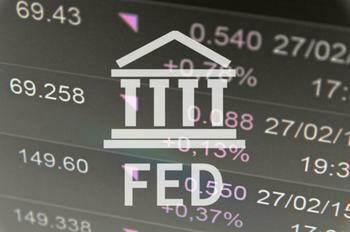 As expected, the Federal Reserve's Open Market Committee announced Wednesday that it is boosting the Federal Funds Rate for the second time since December. The benchmark rate is now going to be somewhere between 0.75% and 1%. By historical standards, it's still very low. But since the Fed maintained a near 0% rate for almost a decade, actually charging anything to borrow money is bound to have an impact. Consumers carrying large balances on credit cards are likely to feel it the most. That's because credit card issuers take their cue from the Federal Funds Rate, and according to CreditCards.com, the average credit card rate is already at a record high 15.51%. In its last report, the card comparison site noted that most card issuers spent the last couple of weeks in a holding pattern, apparently waiting for the Fed to act. It reports Citi raised the annual percentage rate (APR) on the Citi Thank You Preferred card a half-point, but it didn't affect the national average. However, consumers applying for the card are now offered an APR ranging anywhere from 13.99% to 23.99%. The rate charged on credit card balances will affect how quickly consumers are able to pay down those balances. As rates rise, more of the monthly payment goes to pay interest and less goes against principal. To maintain a steady pace of debt reduction, a consumer will need to increase the amount of the payment each month. The interest rates on car loans may go up slightly. Many are pegged to a bank's prime rate, and banks often respond to a Fed rate hike by boosting their prime rate. Rising interest rates on car loans will make monthly payments a bit more expensive. Consumers are already responding to increasingly expensive new car prices by turning to leases. The Fed rate hike will have less impact on home mortgage rates. That's because mortgage rates are closely aligned with the rate on Treasury bonds. Those rates have been going up in the last few months, independent of Fed action. Will consumers with savings accounts finally start earning some interest? Probably not right away, but over time the chances are very good. Rising rates make it more profitable for banks to lend money, so they will need to compete harder to attract your savings. To do that, they'll need to offer more attractive rates on savings products.